People could “live inside a machine” by turning their brain into a program code once a computer capable of recreating some 100 trillion connections is built, a popular Cambridge neuroscientist said at a UK mass event this weekend. “People could probably live inside a machine. Potentially, I think it is definitely a possibility,” Dr Hannah Critchlow of the Cambridge Neuroscience said at the popular Hay Festival in Wales, as quoted by The Telegraph. “We are about 100 billion nerve cells and the most complicated circuit board you could image,” the neuroscientist, who produces and presents brainy interactive experiences for the public and has been named among the UK’s Top 100 scientists by the Science Council, told the audience. The neuroscientist confirmed that the brain’s right and left hemispheres are different, and that there is some evidence to support the belief that left-handed people are more creative. It is known that the right hemisphere of the brain, which is more active in left-handed people, is linked to creativity. Recent studies have shown that creative thought can be externally improved by special devices stimulating that part of the brain. 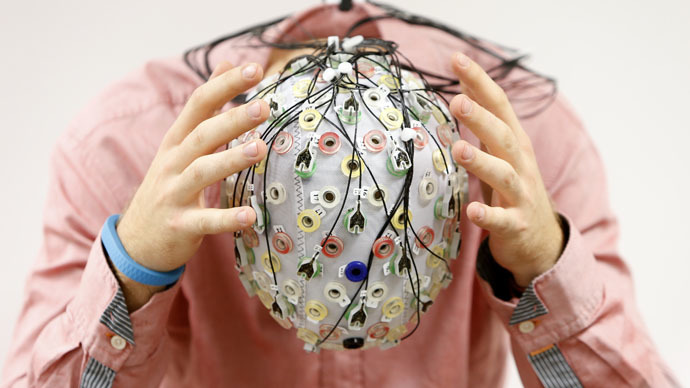 It is now possible to buy hats containing electrodes to stimulate the area for around $80, the scientist said.